Writing contests abound on the internet — a Google search for 2018 competitions brings up over two million results. A speculative fiction submission can get lost in such an ocean of general fiction entries. The following list only includes contests with specific categories for speculative fiction genres. For that reason I didn’t include Writer’s Digest’s long-running annual competition with a Genre Category that includes mystery, romance, etc. Listed by submission window/deadline, you’ll find two contests that take book-length submissions and four contests with low or no entry fees. 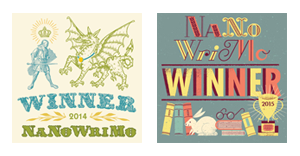 If you’re ready to enter a writing competition, why not give one of these a try? Good luck! Since 2004, the Aeon Award has been a prestigious fiction writing competition for unpublished short stories in any speculative fiction genre. The grand prize is €1000 and publication in Albedo One, the leading Irish magazine of science fiction, fantasy, and horror. Second- and third-place prizes are €200 and €100, as well as publication in Albedo One. The contest runs for four rounds throughout the year. At the end of each round, the best short stories are shortlisted for the contest. 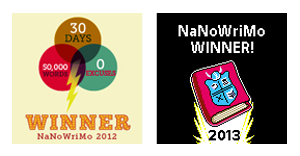 The top three winning stories are chosen after the end of the last round (November 30). Multiple entries allowed from all nationalities (written in English). Read the contest guidelines. L. Ron Hubbard’s Writers of the Future Contest is a chance for new writers of science fiction and fantasy short stories to have their work judged by some of the masters in the field and discovered by a wide audience. Entrants retain all publication rights. Prizes awarded every three months: $1,000, $750, $500. 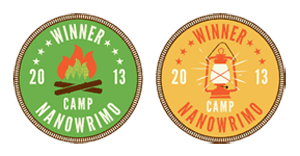 Quarterly first-place winners are eligible for the Annual Grand Prize of $5,000. Contest year ends September 30. One submission allowed per quarter. Read the contest guidelines. The theme for the 2018 contest is Flawed Reflections. This may be used literally, metaphorically, etc. Your interpretation of the theme must be integral to the story and not just mentioned in passing. The contest is open to non-professional writers who have not met eligibility requirements for SFWA or equivalent. Maximum of 2 submissions. First-place award: $200 and publication in the 2017 Confluence program book. Second-place, $100; third-place, $50. Read the contest guidelines. Baen Books is excited to announce their fourth annual writing competition. The award recognizes the best original adventure fantasy short story in the style of Larry Correia, Mercedes Lackey, Elizabeth Moon, Andre Norton, J.R.R. Tolkien, and David Weber. Accepts only one submission of an original, unpublished work. The grand prize winner will be the featured story on the Baen Books main website and paid the industry-standard professional rate. The author will also receive $500 worth of Baen Books. Second-place award, $500 worth of Baen Books; third-place, $300 worth of Baen Books. Read the contest guidelines. The Ghost Story Supernatural Fiction Award competition for full-length short stories draws about 200 submissions from around the world. 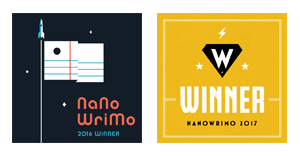 Winners have included writers with a long history of publishing and/or winning awards, as well as writers who have never published a story. The Ghost Story awards $1,000 to the winner plus online and print publication. An honorable mention and second honorable mention awards include publication and cash prizes of $250 and $100 respectively. Multiple entries and simultaneous submissions are permitted. Read the contest guidelines. Hidden River Arts offers a $1,000 award and publication on Hidden River Press, an imprint of Hidden River Publishing, for an original, unpublished book-length work of speculative fiction. Accepts multiple and simultaneous submissions. Read the contest guidelines. For over thirty years, the Colorado Gold Contest for emerging (unpublished) writers has given commercial-fiction novelists the chance to get their work in front of acquiring agents and editors while also providing feedback and encouragement for the craft of writing. Winners in six categories (including scifi/fantasy) receive: 1st place, $150; 2nd place, $100; 3rd place, $75; two remaining finalists receive $30. Read the contest guidelines. 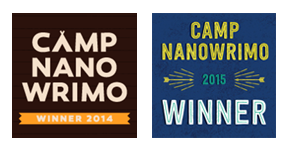 Are you planning to enter writing contests this year?